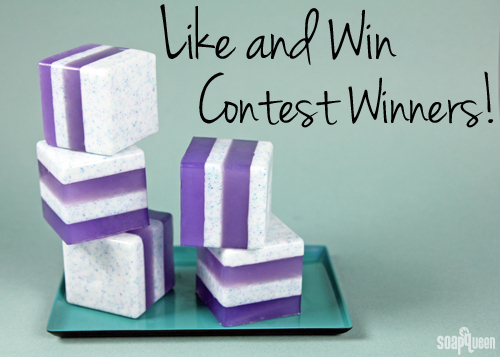 Like and Win Contest Winners! If you are active on social media, be sure to use a hashtag #brambleberry, so I can see your creations! I love looking at all the beautiful soap created on Instagram, Twitter, Pinterest and Tumblr. Thank you!!! I am so thrilled and you made my night! :) I am so happy!!!! Congratulations to everyone! Congratulations to all the winners! Have fun shopping at BB! We’re so excited for them!